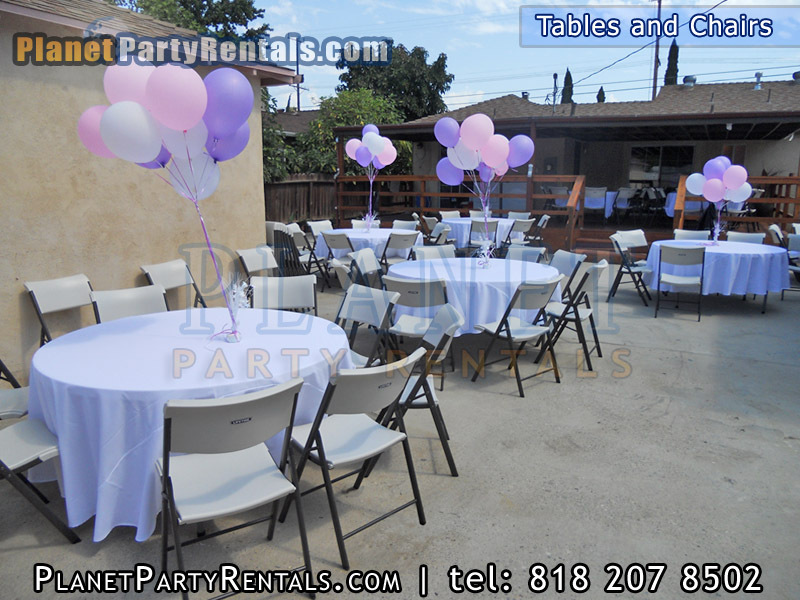 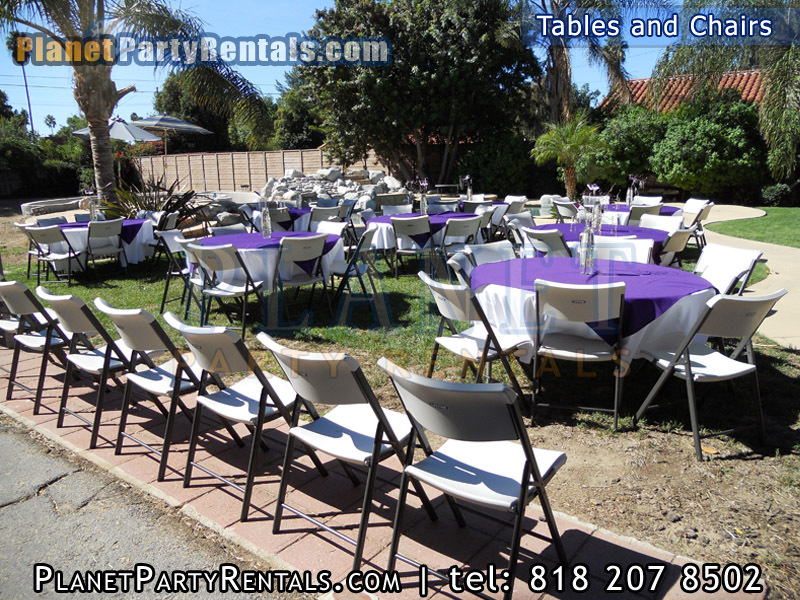 We use commercial grade Tables & Chairs that are both comfortables and aesthetically pleasing. 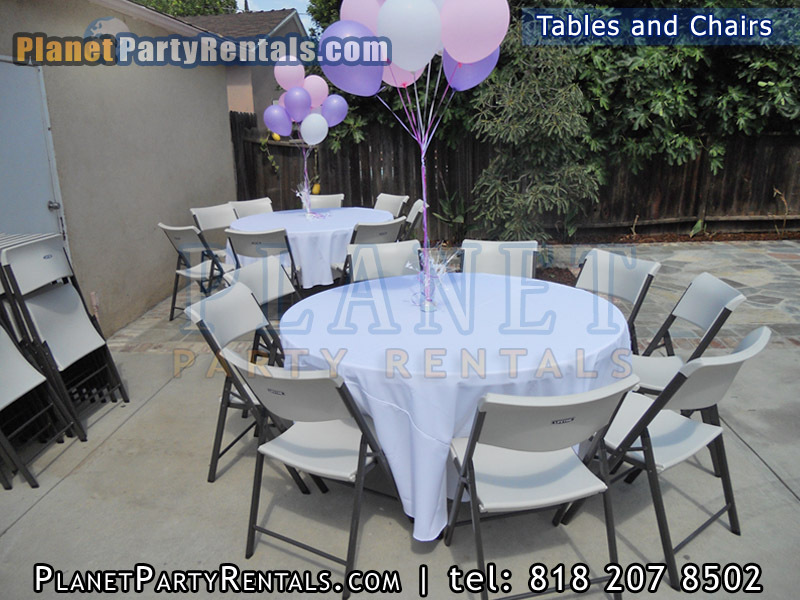 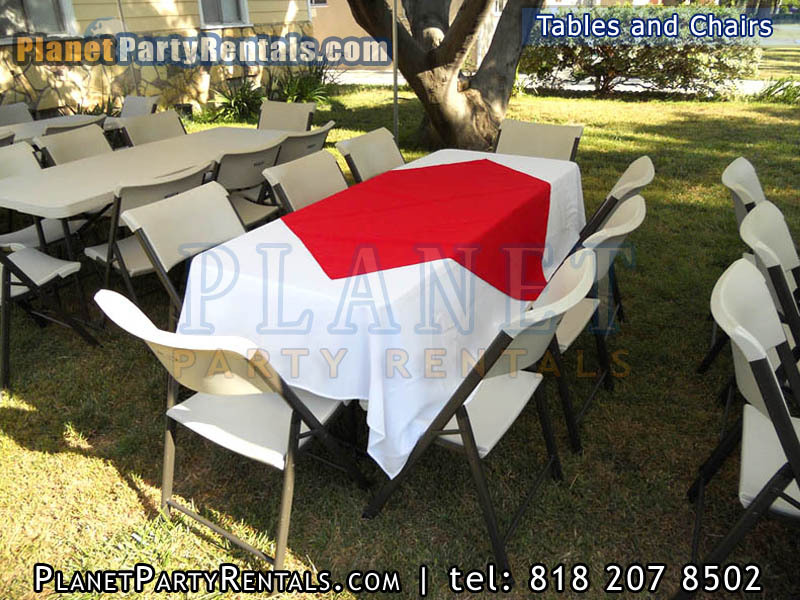 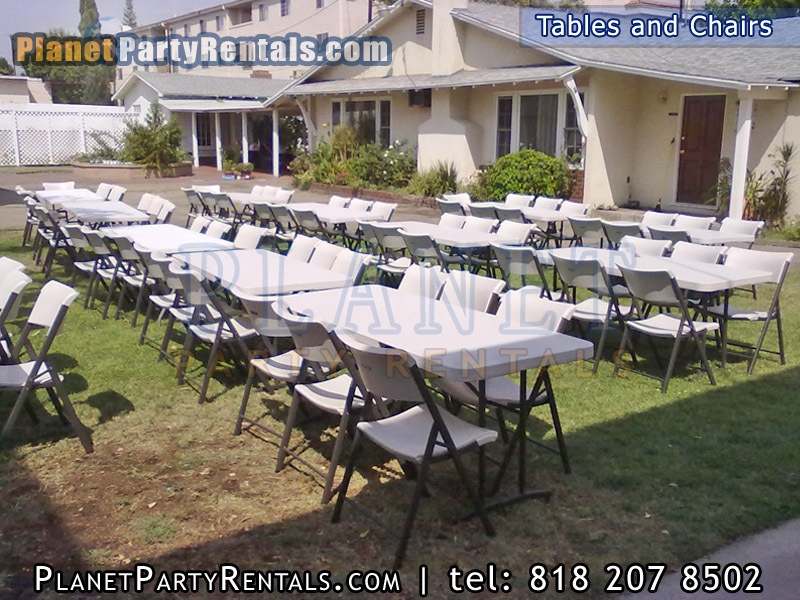 After each rental we carefully clean and sanitize our tables and chairs ready for the next rental. 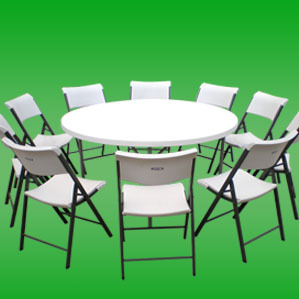 We carry both Rectangular Tables (6ft by 3ft in size) and Round tables (60" in Diamater). 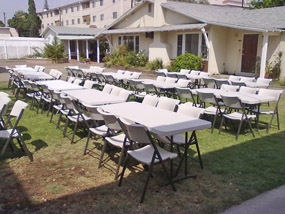 Our plastic chairs are the brand "lifetime" and are the color white. 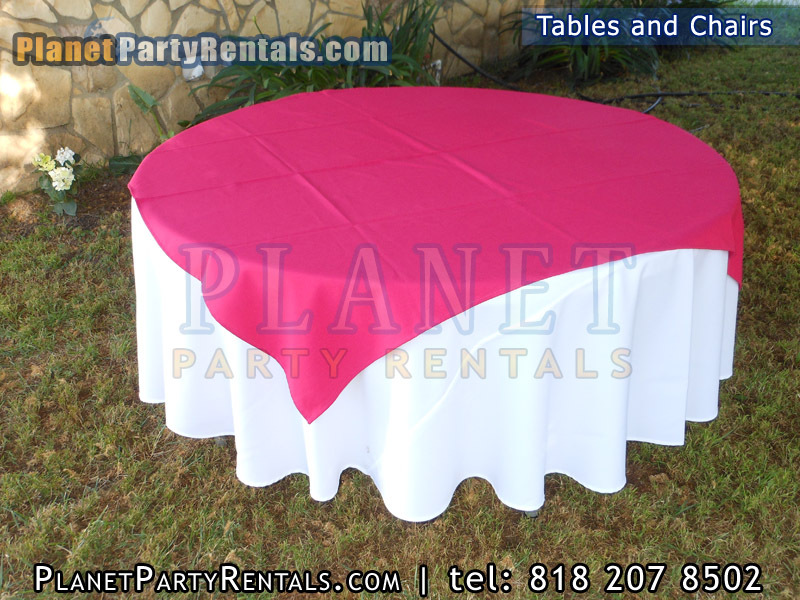 We carry both rectangular and round table cloths for our tables. We have two colors for the table cloths: White or Black. 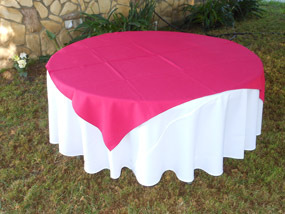 For the runners/diamonds that go on top of the table cloths we have several colors. The diamond/runner colors are Black, Dark Blue, Light Blue, Fuschia, Purple, Red, Yellow, Light Pink, Orange, Black and White. 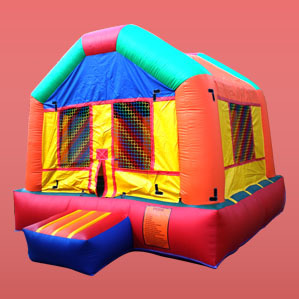 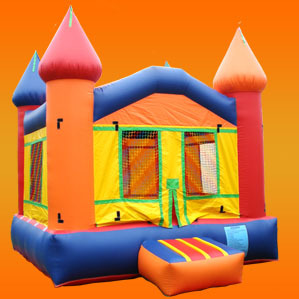 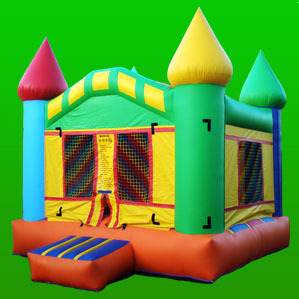 We also carry other items for your event. 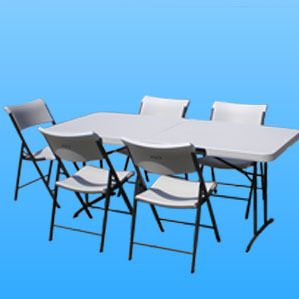 We have rectangular chafing dishes to keep your food warm and ready. 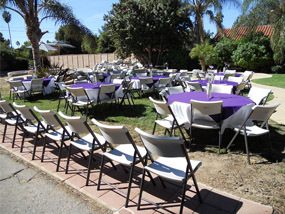 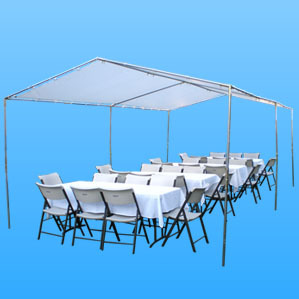 We also carry propane powered patio heaters to keep your guests warm during your event.